I know that most of you are quite addicted to instant messaging apps and you use them a lot to stay in touch with your friends. 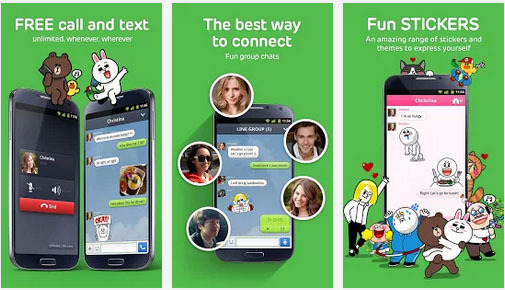 LINE app is one of the best chat apps available for all the smartphones. So today I am going to tell you about the app and let you know about LINE for iPad, iPhone, BlackBerry and Android download guide so that you can download the app and use it. There are literally many instant messaging apps that are available for every device, for iPad, iPhone, BlackBerry or Android, the apps have made its way to all the app markets. We all know about Whatsapp and many people consider that it is the best chat app available right now, but LINE app is one of the best alternatives to Whatsapp and comes loaded with a number of features that give it a great advantage over Whatsapp. There are many features of LINE for iPad, iPhone, Android, BlackBerry that Whatsapp lack. Read: How to Download Android OS for PC? LINE app has been considered as one of the best instant messaging apps and there are millions of users using it on different platforms that will give you a thumbs up when asked how the app is. With over 100 million downloads on Google Play Store and equal number of downloads on iOS store and BlackBerry app store, you can see how popular the LINE app is. But what are the reasons that there are so many people using it to stay in touch with their friends all the time. Here are some of the features that you might love that are offered by LINE for iPad, Android and BlackBerry. With LINE app installed on your smartphone, you can send free text messages to your friends across any platform, the only thing is that there should be LINE app installed on the receiver’s smartphone as well. Not only can you send free text messages, but you can even do free voice and video calls with this instant messaging app. And all of this at no extra cost! LINE for iPad, Android and BlackBerry allows you to make free calls and send free text messages and that’s what makes it unique and different from Whatsapp as it doesn’t allow you to make free calls. With LINE app, you can chat with your friends and share images, videos and emotions, smileys and various stickers to convey your mood to your friends. These little features makes the chat experience with LINE app amazing. Not only is the text messaging good, the quality of voice and video calls is also amazing. You can make HD video calls with highest quality and with voice calls also you get great audio quality. All you need is Internet access on your smartphone to use the app. You need to create an account with your phone number with the app and you are good to go. If you don’t own a smartphone, then you can use the app on your PC as well by installing LINE for PC. Download LINE for iPad, iPhone, Android & BlackBerry Now! 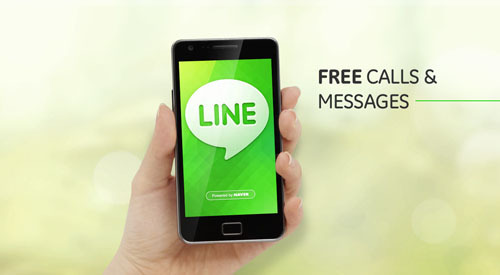 You can download LINE app on your smartphone by going through the below provided link. The links are of the official app stores so you don’t need to worry about any malwares affecting your device. Use the below links to download LINE for iPad, Android and BlackBerry. I hope that you might have liked the article and it might have helped you to download LINE app for iPad, Android and BlackBerry. If it helped, then please share the article with your friends as well on social networks and show us your love!